We decided to participate intelligent buildings track when we heard about 6000 sensors in Tieto HQ. Building data seemed very hands-on and diverse. It was interesting and fun to think all the possibilities how to use and analyse the data. 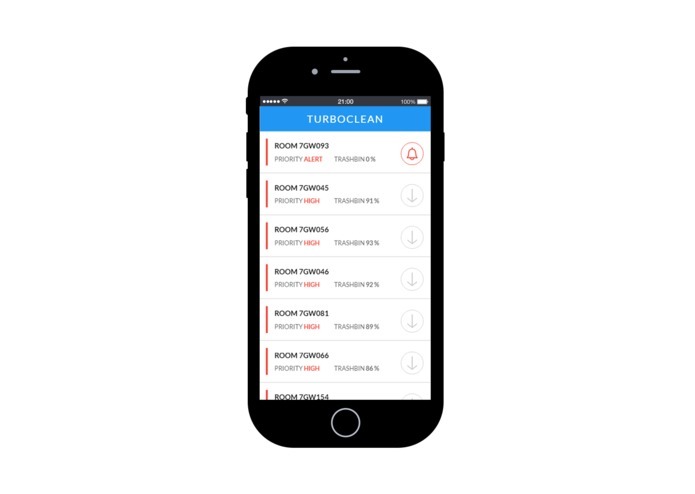 Turboclean is a mobile app prototype that helps building maintenance companies to avoid unnecessary job tasks, prioritise daily work and also enhance customer experience. It does this with utilising various IoT sensors and the massive real-time data they provide, for example measuring the consumption of toilet paper or usage of common office spaces. 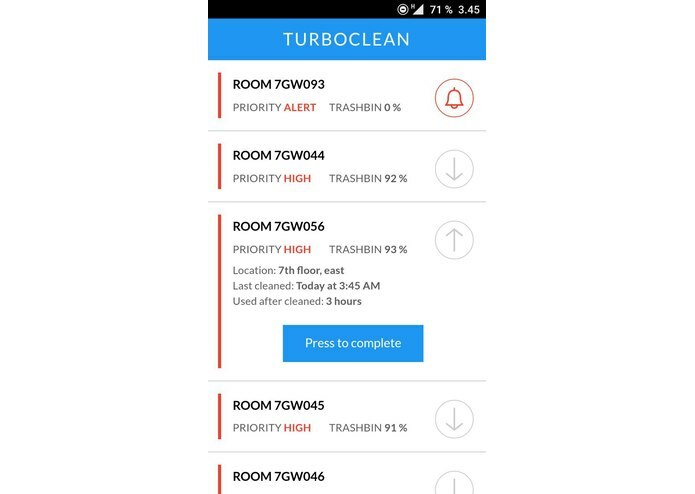 As another cool feature we implemented possibility to alert maintenance personnel in urgent situations by using Bttn's IoT hardware. We started by analysing the data and envisioning the everyday challenges of maintenance business. We wanted to focus on end-users so first we decided to build an application for janitors. After short discussion we started building a mobile web app with Node.JS and React. During the development process we used Trello to organise work and to prioritise certain features. Despite all the challenges, the final prototype is not just a bunch of fancy features put together, but rather a cohesive and working piece of software. We are also proud of our intuitive and good-looking UI, which isn't something to be expected by a team of developers. Our team also managed to develop a quite okay algorithm to prioritise tasks based on sensor data and distance from current location. Everyone of us learned a big bunch of new programming skills, technologies and teamwork skills. As a another new thing we experienced hacking with different hardware devices. Also version management and DevOps were relatively new to some of our team members. This was also the first hackathon for all of us, so the weekend was overall full of new ways of thinking and coding. So in this point of view, Junction was a huge success and we'll definitely participate hackathon again. Our application could be easily modified to suit different work environments. It works best with separate tasks in different locations. 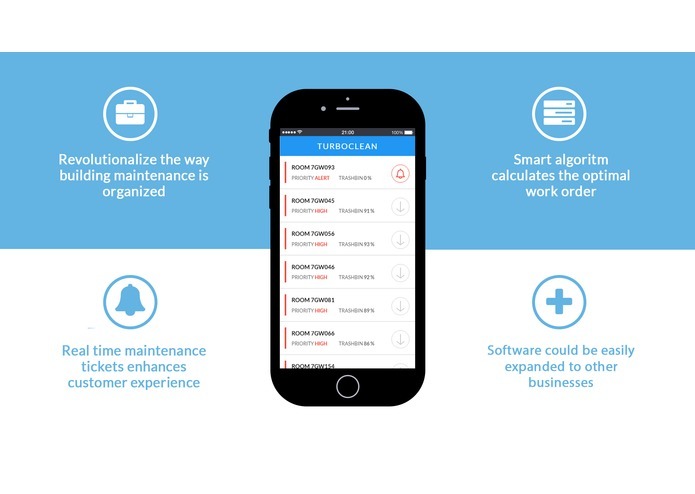 Among the building maintenance the app could be used for example in gardening or security business. We hope that this project encourages people to utilise massive IoT data available in new innovative ways. I did environment and deployment setup and was basically responsible for user experience. 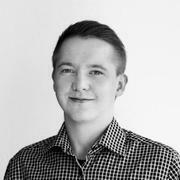 I mostly worked with backend: planned and created database structure and also managed some of the DevOps parts.One of my major tasks was also parsing sensor data from Tieto and importing it to our database for further processing. I am quite a beginner in development. Though I wasn't a big part of the actual programming action, I took part in the planning process. Kept the pizza and kebab running. Learned a lot about the development process, and about different technologies and platforms. I was responsible for the visual design and helped with planning the algorithm. I learned a lot about IoT through the Bttn and also kept the team busy with my merge conflicts. I implemented some of the actual calculation logic in the backend. I was also trying to work with Paulig Muki, but I didn't get the API working at all.